CHICAGO— The School of the Art Institute of Chicago (SAIC), a global leader in art and design education, announced the appointment of Devarajulu Ravichandran as the School’s Vice President of Educational Technologies and Chief Information Officer (CIO). In this position Ravichandran will lead a cutting-edge information and educational technology operation at one of the premier art and design schools in the world. Ravichandran joins SAIC from University of Rochester where he led Arts, Sciences, and Engineering’s web services, educational technology, faculty technology support, residential and academic networks and the student help desk. While at the University of Rochester, he established a robust applications development team, rebuilt the central web infrastructure and laid the foundation for storyboarding and iterative development processes. In his role as SAIC’s Vice President of Educational Technologies and CIO, Ravichandran will collaborate with faculty and staff to determine technology solutions. Additionally, he will lead the School’s Computer Resources and Information Technology (CRIT) department, overseeing all operations, including computer purchasing, computer labs, web services, application administration services, and SAIC’s Service Bureau, HelpDesk and Advanced Output Center. Ravichandran comes to SAIC with more than 20 years of experience as a manager, solutions architect and developer. 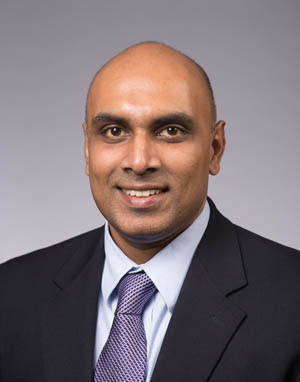 Ravichandran received his Bachelor’s degree in electrical and electronics engineering from Anna University in Chennai, India, and his Master of Business Administration from the Simon School of Business at the University of Rochester. His appointment is effective July 1. For more than 150 years, the School of the Art Institute of Chicago (SAIC) has been a leader in educating the world’s most influential artists, designers, and scholars. Located in downtown Chicago with a fine arts graduate program consistently ranking among the top programs in the nation by U.S. News and World Report, SAIC provides an interdisciplinary approach to art and design as well as world-class resources, including the Art Institute of Chicago museum, on-campus galleries, and state-of-the-art facilities. SAIC’s undergraduate, graduate, and post-baccalaureate students have the freedom to take risks and create the bold ideas that transform Chicago and the world—as seen through notable alumni and faculty such as Michelle Grabner, David Sedaris, Elizabeth Murray, Richard Hunt, Georgia O’Keeffe, Cynthia Rowley, Nick Cave, Jeff Koons, and LeRoy Neiman. For more information, please visit saic.edu. CHICAGO—The School of the Art Institute of Chicago (SAIC), a global leader in art and design education, will welcome celebrated artist Mierle Laderman Ukeles who will deliver the School’s commencement address on Monday, May 13, at Wintrust Arena, 200 East Cermak Road. Ukeles, an activist artist known for her feminist works, will receive an honorary doctorate from the School, along with esteemed honorees, photographer Dawoud Bey, whose latest body of work was recently featured at the Art Institute of Chicago; filmmaker Isaac Julien and cartoonist and SAIC alum Chris Ware (SAIC 1991–93).